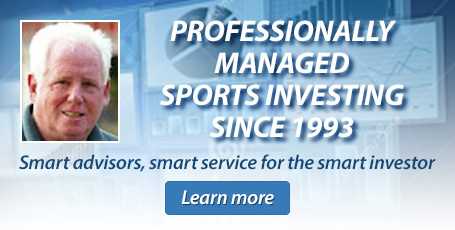 "With over 20 years in sports investing, there is no question that I am your go-to handicapper. 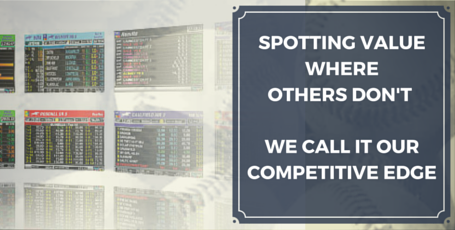 Sportsbooks thrive off the general public and only the sharp minded sports bettors turn a profit. Investing with BetSheet means you side with the sharps. Puss is currently 15-3 (83%) over the last seven days! "While everybody else is chasing the marquee match-ups, I look to uncover the hidden gems in the lower market games. Each sport requires a seperate discipline and optaining optimal line value is always a key component." Brendon is currently 13-5 (72%) over the last seven days! "Finding value is an absolute necessity to successful sports betting and yet many bettors don't understand the concept. Value is opportunity and increasing your odds of a profitable outcome." Dennis is currently 7-3 (70%) in MLB over the last seven days! To fully grasp the value of BetSheet you must first understand the process of vegas odds origination. Odds for Las Vegas & offshore sportsbooks are set by a group in Las Vegas called the LVSC (Las Vegas Sports Consultants). 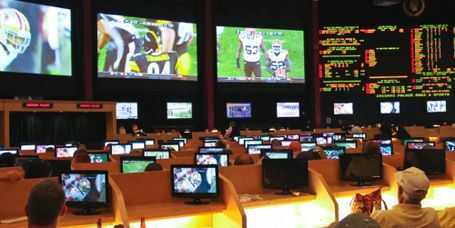 The purpose of the LVSC's is not necessarily to handicap a match-up but rather to forecast a line that will yield a split in the betting action from the public. Our sports betting picks give you the edge over the Vegas odds! Before the Las Vegas Sports Consultants, Puss Williamson was one of the original sports authorities to work with many of the major Las Vegas sportsbooks in the lines making capacity. With a unique blend of experience, stats tracking, and natural gut instinct Gerald "Puss" Willamson and Betsheet.com have quickly become the sports handicappers trusted resource on game day. So if you are looking for help this season then Betsheet is your ticket. 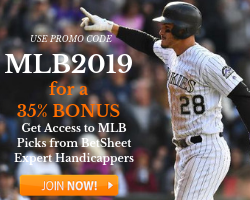 Join BetSheet now! Las Vegas sports odds are generated by humans, and where humans are involved there is always a margin of error. Professional handicappers, like pro poker players, can always spot the errors. BetSheet.com uses a comprehensive list of tools and professional guidance to help you make smarter, more informed sports betting decisions. Odds are meant to attract specific betting action which is why BetSheet will help you avoid the betting traps and poor sports investing decisions.